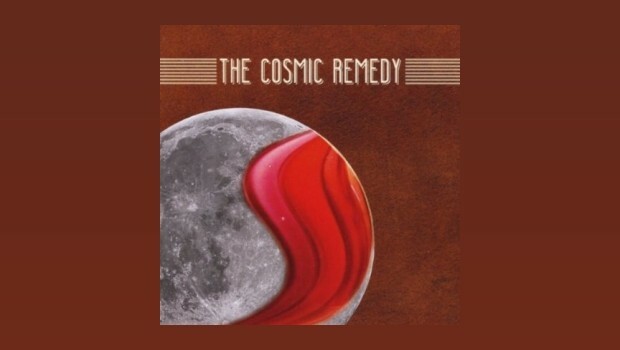 The Cosmic Remedy are relatively a new band tracing their origins back to early in 2012. Initially a solo project for Bogáti-Bokor Ákos (Yesterdays & Tabula Smaragdina), who decided to utilise some downtime from Yesterdays to work on material he had amassed, but not entirely suited to his other bands. A fairly short period of time saw the completion of much of this material, however rather than release as a solo album Ákos decided to go for a “band name”. The main core of this band therefore centres around composer and guitarist Bogáti-Bokor Ákos, drummer Kimmo Pörsti (The Samurai Of Prog, Paidarion & Mist Season), bass man Francesco Faiulo and vocalist Tico De Moraes. Added to this core band are a large ensemble of musicians and singers (see below). Childhood Suite opens with the brief but impressive Overture. Multiple keyboards, guitar, bass and drums kick things off in true prog style conjuring Yes and Emerson Lake & Palmer in all their early pomp and glory – great stuff. In contrast Blue Skies opens with gentle rippling guitar with the (initially) somewhat reverb drenched vocals Ulf Yacobs. Despite some early misgivings Ulf’s voice turned out to be a big plus in these opening songs. Another huge plus is the wonderful flute work of Kecskeméti Gabor, which makes a first appearance here. The combination of Hackett-esque guitar fills, flute and the nature of the music, early Genesis was an obvious comparator. Final track in this section is the rockier What You Are which features some strong backing vocals and nifty bass work did bring Rush to mind – at times. The transition into A Suite-case Of Memories is fairly seamless. The trio of Ákos, Pörsti and Gabor brought a smile to my face with the jazzier feel of Postcard From Prague. Again an all too brief instrumental but one that includes a lighter touch with the inclusion of a studio or performance glitch – nice that they left this in. Gabor is particularly impressive and finishes the track in fine Ian Anderson style. The lightness of the previous track leads us nicely into the delightful Susie And Me. Quirky and hideously infectious it has the hallmarks of Supertramp in their more idiosyncratic modes, as well as capturing some of Queen’s more ‘tongue in cheek’ moments. It is also our first introduction to vocalist Tico De Moraes, who does a fantastic job and I particularly enjoyed the close harmonies throughout. Tico is equally impressive in the superb McCartney/Beatles influenced I’ll Be Your Friend – again great backing vocals from Iulia Paradau and Ákos. The crafted pop sensibilities continue through the summery I Don’t Have To Run – retro guitars, layered mellotrons and again splendid flute from Gabor. So to the final section of the album and the aptly named Farewell Suite. That McCartney/Beatles vibe returns with the gentle Welcome To The Pepperland Lounge featuring De Moraes on voice and Ákos on acoustic guitar. Super track and a great little solo. Train To Nowhere kicks in with a 60s style drum beat leading us into an upbeat pop song, but not one for me really, as I couldn’t stop bringing pop duo Wham! to mind, each time I heard it. So to the final cut from The Cosmic Remedy and Hiding From The Sun, which I’m glad to say ends us on high. A stylish track, which stems from the arrangement and De Moraes is on form, as he is throughout. Sting came to mind at times along with The George Harrison/Beatles and also several contemporary acts from prog. Despite my misgivings about the Lost Marbles Suite, The Cosmic Remedy remains a strong and enjoyable album and certainly one that benefits from repeated listening. Not a prog album per se but certainly one with progressive elements.